The world of Hindustani classical music has been traditionally linked to the idea of seasons. Ancient Indian scriptures described six distinct seasons or ritus, Vasant (Spring), Grishma (summer), Varsha (monsoon), Sharad (Autumn), Hemant (Pre-Winter) and Shishir (Winter). Each of these seasons evoke different moods and feelings. In this performance, Nishant Panicker, a disciple of Vidushi Lalith J. Rao, will depict seasons through the lens of ragas and compositions. 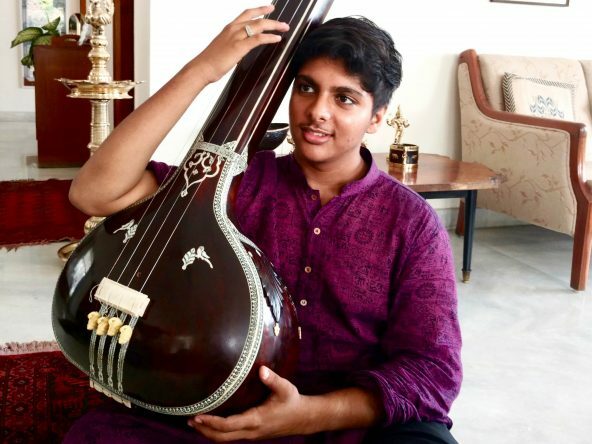 Nishant Panicker Disciple of Vidushi Lalith J. Rao, 20 years old, was initiated into Hindustani classical music at the age of six. After initial training under Shri Anant Heggar Hegde, he received vocal lessons and early inspiration from the sarod maestro Pandit Rajeev Taranath. While Taranathji, in his seventies seemed to be tough and demanding to the seven year old, by the time he was nine, Nishant was already imbibing the art of raga elaboration and taan creation. When Taranathji moved to Mysore, he entrusted Nishant to Vidushi Lalith J. Rao, doyenne of the Agra-Atrauli Gharana. With Lalithji’s caring, encouraging and astute guidance over the past ten years, Nishant has blossomed into a delightful performer with confidence and skill in raga vistaar, layakari and bol banaav, in line with the Agra tradition. At 18, Nishant was among the youngest in the country to have received the prestigious NCPA Hindustani Vocal Scholarship 2016-17, awarded to outstanding vocal musicians 18 to 30 years old. He was one of the top 16 Hindustani vocal finalists in the All-India competition Naad Bhed 2013 -14 for under 26. Nishant has won many inter-school and state-level music competitions and received the Rotary Young Achievers’ Award from Rotary Club, Bangalore in 2015. With several solo and group performances with Guru Lalith J Rao under his belt, his first studio recording was released in 2013 in an Audio CD “The Legacy Continues” as part of an album titled An Agra Gharana Heritage Collection. He has contributed to the recording of several compositions of Padma Bhushan Ustad Khadim Hussain Khan for an archival project hosted on the website www.namansajanpiya.com. A regular performer in Sunaad, a group dedicated to Hindustani Classical music, Nishant has sung in the productions Raga Katha, Raga Sarita, Swar Katha Upanishad and Isha Rumi Beyond Form, Nishant is also an avid Kathak dancer, with over ten years of training, He graduated from the National Public School, Koramangala in 2016 as the Best Outgoing Student and is now pursuing B.Sc. Biology at Azim Premji University, Bangalore. 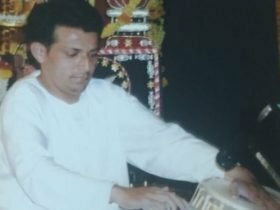 Shri Shashibhushan Gurjar began his initial tabla training under Shri Ramesh Bhat Joshi of Dharwad and continued to learn from Prof. Sanjeev Poddar of Sirsi. He further took guidance from the renowned Pt. Basavaraj Bendigeri of Dharwad. He has procured both the Karnataka state as well as national level scholarships. He has provided accompaniment for many recordings at the All India Radio and Doordarshan. 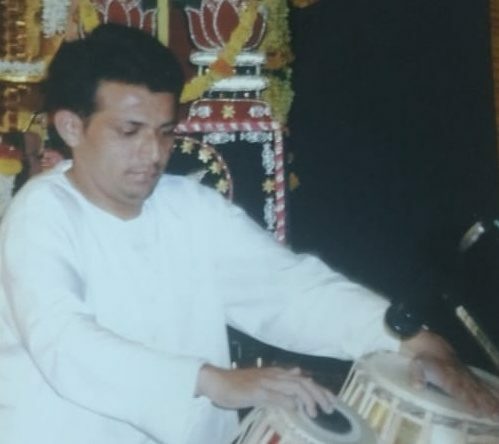 Shri Shashibhushan Gurjar has also played at major music festivals all over India and accompanied many reputed artists such as Vidushi Lalith J. Rao, Pt. Vijay Koparkar, etc.